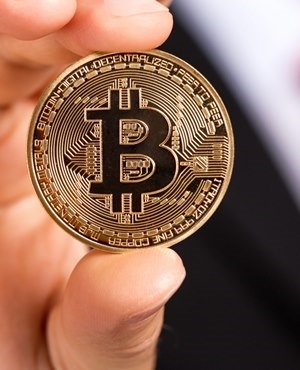 Johannesburg – Cryptocurrencies like Bitcoin are to be treated in the same way as capital realisation on assets, according to Dr Randall Carolissen, research head of the South African Revenue Service (SARS). He was speaking at a briefing on the Tax Statistics 2017 report earlier this week. During a question and answer session, Carolissen shared how the tax authority was dealing with cryptocurrency. The value of Bitcoin has grown more than 2 000% over the past year. In December last year a Bitcoin was worth R11 000. It is currently worth over R220 000. Individuals have the option to buy fragments of a Bitcoin if they can’t afford a single unit. Using an example of how Bitcoin can be taxed, Carolissen explained that like a Krugerrand which is sold, the capital appreciation on it will be taxed as capital gains tax. SARS is also stepping up its relationship with the Reserve Bank to strengthen tracking the flow of funds, as arbitrage can also be hidden through the movement of goods. Jerry Botha, managing partner at Tax Consulting, differentiated between income tax and Capital Gains Tax liability. He explained that if there is intention to trade Bitcoin to make profit in the short term, then the profit can be treated under income tax rules. If the Bitcoin is held as an asset for a number of years then it is treated with rules pertaining to Capital Gains Tax. Botha further explained it is unlikely SARS would introduce a separate tax for cryptocurrency as the income tax laws are comprehensive enough to apply to cryptocurrency. When asked if there may be progress in regulation of the cryptocurrency, Ambrose explained that legislation always lags behind technology. But governments are looking to regulate the Bitcoin environment in the same way they regulate gold. Once Bitcoin, which currently exists in cyber space, comes into the real world then normal rules and regulations will apply.